To improve physical status of rural communities. To create fresh educational and health environment in rural communities. To bring quantitative and qualitative improvement in education in rural communities. To supporting local communities through school renovations, community resources, clean water facilities and Health Camps. 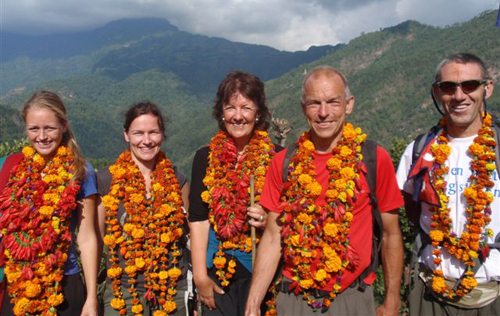 To extend our projects through many remote areas of the Gorkha district. Village Environment Nepal is a Non-profit and Non-Government Organization (NGO). It is a legal entity registered in the District Administration Office in Kathmandu under the Organization Administration Act of 1977 and it is also affiliated with the Social Welfare Council in Nepal. Social service is one way to making country prosperous, educated and civilized society is pre-requistic for drastic change in the country. Social awareness is indispensable for the undeveloped and impoverished country like Nepal. The role of the government and social organizations established for social welfare is very crucial for bringing about significant change in the society. It is essential for the social organization to work in co-ordination with the state. Education is the most important factor for strengthening society, proper education is the backbone of social development but its proper management is missing in the context of Nepal. And many people lose their lives untimely every year because of the lack of proper health facilities and lack of health awareness . Skilled manpower is the asset of the country and pre-requisite for the development of the country. The women are the make up the half of total population are confined to the four walls of their house. They are still considered as child bearing machine and me self dependent and involve them in skilled profession. The role of service-oriented organs of gratification for men so, we want to make every single individual of socializations needs to be important on taking necessary information to the level of villages and establish effective network of such organizations for the purpose. VEN is a social organization established with the purpose of changing and promoting the status of Nepalese in rural communities through public awareness, rural child education, health promotion, skill development program and change physical structure of rural areas. We are determine to do anything for rural development in Nepal so please join hand with and let’s make this world a better place to live. -support to earth-quake victims reconstruction villages and schools in Gorkha. Copyright © 2011 Village Environment Nepal. All Rights Reserved.